Having a goal means knowing how to get started, However, not everyone has the courage to step-up and take control of their lives. Known as “America’s Master Motivator,” Jerry Gladstone takes us into a reflective and inspiring talk about succeeding in life. 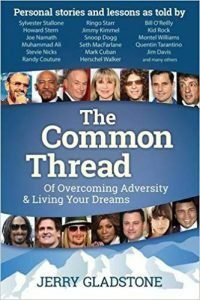 Through his book, The Common Thread of Overcoming Adversity and Living Your Dreams, he interviewed Academy and Grammy Award winners and pins down the common thread this people have in living their dreams and going through life’s challenges. He lets us in on the contents of his book, what he learned from successful people and how it came about. Learn some great nuggets that will help you overcome any adversity. I have with me, Jerry Gladstone. He is the author of The Common Thread of Overcoming Adversity and Living Your Dreams, a groundbreaking book about real people and their real stories. This book features Academy Award and Grammy winners, Superbowl World Series champions, Rock and Roll Hall of Fame legends, bestselling authors, Olympians, boxers, UFC world champions and even billionaires. He’s here with me to talk about what those interviews were like, the common thread between all of those types of people, and how what we learn here can allow us to be game changers in our own lives, to get over adversity in our own lives, to get over the challenges and be all that we could be and to live our dreams and our own lives. Jerry Gladstone, welcome to the show. It’s great to talk to you. Tell us about this book, The Common Thread of Overcoming Adversity. What is this about? One day I was having a little simple conversation with my wife and we were talking about people that we know that seemed to have great potential. We all run into these types of people every day who seemed to have great potential but for whatever reason, they can’t seem to get out their own way. I said to my wife, “I don’t care whether you’re an entertainer, an athlete, a scholar or an author, whatever it may be, there’s a common thread to success, a common thread to overcome the obstacles.” I said, “That would be a cool book.” With my career over about a 25-year period, I’ve done business with very well-known successful people, some of which you have mentioned. I did notice that there was a common thread to success. Anybody from Snoop Dogg to Bill O’Reilly to Howard Stern to Muhammad Ali to Mark Cuban, from all different walks of life, all different colors, all different backgrounds, there truly was a common thread to success. I said, “I’m going to go write the book.” I went back to a lot of these individuals. I interviewed them and I dug deep as far as drilling down. What do you do when you don’t feel like doing something that’s uncomfortable? There are all those things that we face each and every day. I’ve got some remarkable answers, some great insights and great wisdom from these people. It becomes a lifestyle for them as far as succeeding. When they hit obstacles and when they’re down, they know what to do. I learned a lot and at the end of the day, we can talk about a lot of different things but certainly focus on what we can all do to take the next step forward on our journey through success. What can we do? I want to talk about who are some of these people, the names that you’ve interviewed. You said something that I want to break out before we even get there. You said they make it a lifestyle to overcome obstacles. Who wants to make it a lifestyle to overcome obstacles? Expound on that. If you believe that making it a lifestyle to overcome obstacles, what do you mean by that? The concept is fairly easy. It’s a matter of doing it. When they see a challenge or an obstacle, they don’t necessarily focus on how uncomfortable it’s going to be. They focus on the goal that they want to achieve. When they’re having a difficult time, whether you’re an athlete in training or you’re going to school as a kid or you have to read something or you want to go start a business, part of being uncomfortable is just part of what you have to do. They remain extremely optimistic and extremely focused on the end goal so whatever they have to do is just a means to an end. If they have to knock down one wall after another wall, get shut down, deal with rejection and blues, it’s all to them a learning experience and this one step forward closer to their goal. A lot of these guys, they look forward to, “This is another obstacle. This is another challenge. This is another person who’s saying no to me. I’m going to disprove these people again.” They keep their eye on the ball. It’s not just one thing that makes somebody successful but there’s another thing, they are very optimistic. That sounds easy but they surround themselves with optimistic people. They focused on the things that they have as opposed to things they don’t have. They make the most out of the things that they have. If that door is open a little tiny bit, they’re looking and they’re going to get through that door. There are so many different things that are involved in it but no matter what the conditions are, they keep moving forward. They don’t sit back, they don’t procrastinate. Sometimes you’ve got to slow down but they don’t quit. They keep moving forward while others sit there and say, “No, it’s not for me. I can’t do this.” That’s not a good formula for success. This is a lifestyle and I want to bring that part out. These are things that these people do as a habit. It’s a lifestyle. It’s not like something that they do sometimes or when it feels good. What you’re describing is the way these people behave and how they lived their lives on an ongoing, continuous, day-to-day basis. There’s one takeaway that I can share with everybody. Let’s imagine for a second you have a goal and you want to start a new business or you want to become this great athlete or you want to lose weight. You want to achieve something and you’re excited about it and you’re pumped up and you’re so excited, “I can do this.” We’ve all experienced it. Here’s the problem. Literally within seconds, we start telling ourselves why we can’t do it. We’re not good enough, we don’t have money, people will laugh at me, I’m not smart enough. I can’t do it for this reason, for that reason or for another reason. Within seconds of having a goal, you start telling yourself why you can’t have that goal, why you can’t achieve it. We have to stop that. It’s negative self-talk. I tell people, “Imagine if I said to you what you say to yourself. Chances are you’d want to punch me in the face.” If I said to you, “You don’t have the money, you’re not good looking enough, people would probably laugh at you, you’re just not good enough, it’s not in the cards for you,” which is what you’re saying to your self, but if I said that to you, you’d want to punch me in the face. That’s what we have to get away from. You have to talk about a lifestyle. When you feel that negative energy coming, that negative conversation that you have in your head, you’ve got to get out of there. You have to remain optimistic and you have to keep on telling yourself why something can be done. Surround yourself with people who tell you things can be done. Read books that tell you how things can be done and stay excited. Stop telling yourself why things can’t get done. Stop telling yourself that you’re not good enough. That’s the one thing that these people do. That’s the common thread with what these people do. We all have these great goals and then we sit there and we procrastinate and we wonder why. We’re unsure, we start telling ourselves all these crazy things. A common thread that you could develop to yourself, knock it off. This is very important as well, too. It’s very important to think about what your goal is. I love writing things down and I love doing all kinds of charts and graphs and how I’m going to do something. That’s fine. That’s no problem whatsoever but once there’s a plan in place, shut the brain off. It’s never going to go exactly the plan. Step one, step two, step three, step four, step five, they get to step two and it doesn’t necessarily work out so they sit there and they start questioning and they start thinking. What you’ve got to do is when that plan is in place that you’d thought out pretty well, shut your brain off and keep on doing the one step after another step after another step. If the plan has to be changed, slightly change it but keep moving forward. We get in our own way. Your competition is not your coworker. Your competition isn’t going to be the guy who you find on the other side of the ring. The competition is always the person in there and that’s yourself. You got to get out of your own way. You’ve heard that before, but I’m trying to get a little bit deeper. Stop telling yourself you’re not good enough and stop overthinking things. Keep moving forward under any and all conditions. I love that and I love your passion about it. Let’s talk about some of the people that you have interviewed in the book. Can you name some of the folks that you had the opportunity to sit down within an interview? A lot of people ask me who’s my favorite person that I interviewed in the book. I love a lot of them. I worked with many of them over the years within my business. I was in a lot of trouble when I was a kid, definitely got a lot of Ds and was most likely not to succeed. I was in trouble in all sorts of different ways. That’s the way it was. When I was sixteen years old, Rocky came out. I went to the movies. He made me believe and he planted a seed that I didn’t have to be the biggest, the strongest, and the smartest. All I needed was heart, drive, and determination. Overcoming Adversity: No matter what comes my way, I have to have this deep desire to deal with the punches of life, to deal with whatever obstacles. I took it hook, line and sinker and I said, “That’s me.” That’s going to be my personality. No matter what comes my way, I have to have this deep desire to deal with the punches of life, to deal with these obstacles, whatever it is. I don’t want to feel bad about myself. Rocky didn’t want to feel bad about himself, so he planted the seed. I didn’t have to be the biggest, strongest, or fastest, with heart, drive, and determination, I can achieve. Thirty years fast forward, I did business with Sylvester Stallone himself. My company was a marketing company and we dealt with a variety of consumer products. We were chosen to develop a host of products for the 30th anniversary of Rocky. Here’s a guy that, I don’t want to say idolize him, but if I’m going to idolize one guy, it’s the Rocky attitude. He goes, “You’ve got to get out there. You’ve got to be willing to compete.” That’s the problem, people are not willing to put things on the line. You get out there and compete and knock on doors and do whatever it takes. This is a very accomplished guy who has done so much in so many different venues yet he was still full of what they call piss and vinegar, ready to take the world on. That said a lot to me because if he can still have that attitude with all his accomplishments because he can sit back on the beach and have a few drinks, but he still has that competitive edge. He made a very nice impression to me, to say the least. He doesn’t just talk the talk, he definitely walks the walk. What I’m gaining from what you’re saying, interviewing Sylvester Stallone, is that a lot of tools and strategies, there’s a lot of talk about those types of things. A lot of those things are out there for people to become successful. What I’m getting personally from what you’re saying in your interview with Sylvester Stallone is that it’s making a decision and sticking with that decision. It’s putting in the effort and the hard work and maintaining that, sustaining that drive until you get what you want and beyond. That’s what I get out of what you’re saying. Based on your interviews with Sylvester Stallone, what are some of the things that hold people back from reaching their goals and what can they do about it? The fact is it’s generally themselves. I believe that about 99%, most people know what to do. They do. If they want to lose weight, they know they’re supposed to stay away from the chips and the sodas and this and that. They know they’re supposed to exercise. They know they have to read a book on that. If most people want to achieve a certain goal, they should understand how to get started. What do people have to do? You’ve heard it before. Hopefully, I can explain a little bit differently. Get out of your own way. Be with experience. I’ve done a lot of good things in my life that was pretty successful as an athlete, as an author, as an entrepreneur but I failed a lot more time than I succeeded. People focus on all these successes. For every three things that I succeeded at, I struck out seven out of ten times. Do you know how many deals I went after? We dealt with different movie studios and different celebrities. Most said no but to me, when I get a no, that’s one closer step to the yes. You have to go through a bunch of noes. You’re asking what’s the one thing? Figure it out. Just keep on going with, “How do I get out of my own way?” Something will stick. A lot of people have been saying the same thing for years and years. Get out of your own way. Your competition is yourself. It’s true. I’ve dealt with the most successful people in the world. It’s true, so whatever it takes for you to understand that concept, whether people can listen to me and understand that concept or listen to you or listen to whoever, understand the concept that you have to get out of your own way. You have to start developing optimism in your life and a belief system in your life. Get out there and focus on that one thing. How do I get out of my own way? How do I stop competing against myself? There’s a lot of people with all kinds of different ways of explaining it, but if you focus on that concept and just find something that relates to you, you’re going to be well on your way. There’s something that you keep repeating and that’s, “Get out of your own way.” Let’s dive a little deeper on that. Let’s give the audience what you mean when you say get out of your own way. Can you peel the onion back on that a little bit? It’s a fairly simple concept. People have a goal and within seconds, they tell themselves why they can’t do it. They’re not good enough and a variety of other reasons. Stop telling yourself you’re not good enough. You are good enough. The people that I dealt with are very successful people. Mark Cuban, he will be the first one to tell you, “If I can do it, you could do it.” Nobody’s better than you. They put their pants on the same way as you do every single day. That’s the truth. Get out of your own way and stop telling yourself you’re not good enough. Make a list of what has to get done. Think it out, go Google, go talk to friends, go talk to people who have been there and done it, and write a list down what needs to get done in order for you to achieve your goal and shut your mind off and get that list done. Let’s say there are ten steps. 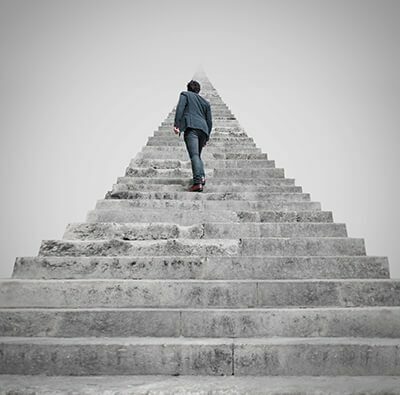 Get those ten steps and then you can evaluate the situation and chances are you’re going to be a whole lot closer to your goal. Overcoming Adversity: The second you become proactive is the second you start moving forward. Nobody told me I couldn’t call him up. The next day I called this guy up. He answered the phone, “Mel Fisher, can I help you?” I said, “Mr. Fisher, my name is Jerry Gladstone. I love what I saw there. I love to do business with you.” “If you’re ever going down in Key West, Florida, look me up.” I went down to Florida, down to Key West. I looked him up and sat down with him. By the end of the weekend, I sign an exclusive agreement to represent his portion of the treasure. Was I smarter than anybody? No. I did get it in my own way. I saw this guy on TV, I had a little passion. Most people would say at that particular point, “I can’t call him up. He won’t answer the phone. Who am I? I don’t have the experience.” No, Rocky told me to go for things. Let me unpack that Rocky thing. I called him up. He answered the phone. He said, “If you’re ever down in Key West, give me a call.” Most people would say, “I don’t know if I’ll go all the way down there. He’s just going to say no, he’s going to laugh at me, I don’t have the money.” No, I’m on a plane to Key West, I sat down with him, built the rapport, long story short, that’s how I started my business. I did millions of dollars with Mel Fisher. I got out of my own way. Take the opportunity. Go for the no. Mel could have said no. I’d rather regret not going after something than not getting it. Who cares if I don’t get it? You have to get out there. Nobody’s going to do it for you. The second you become proactive in what your goal is that’s the second you start moving forward. Get proactive, make the calls, get out there, talk to people. When you see a tiny little opportunity, go after that opportunity because you never know what’s going to happen. A lot of individuals don’t have that faith in themselves. They don’t have people around them that have demonstrated what can happen. That’s why I believe the environment is so important. When they do get a goal, it’s not the challenge of the goal that they have to get over and accomplish the goal. It’s the challenge of the thoughts and the belief that they have about themselves. That prevents them from even stepping towards the goal. This is very critical when it comes to achieving great things, being a game changer. This stops a lot of people dead in their tracks before they even get started. I do believe that one of the ways that we can get over this is we have to stop looking at things that have gone before and tapping into our unique gifts and the things that we see in ourselves, getting intimate with ourselves and understanding what we are truly capable of. We are truly capable of miraculous things but I don’t think we believed that about ourselves. We make it okay for others to do it, for the celebrities, the actors, the people that are rich and are making it happen. We make it okay and it’s alright for them to do it but when it comes to ourselves, we accept less than that. That’s a major problem. If we’re going to be game-changers, we’re going to change the game in our own lives, that thinking about ourselves has to change and it has to change right now. Did you have something you want to add to that? You mentioned celebrities. A lot of people think they were born with a silver spoon. The fact is that very few of them were born the rich people that they are. They started off the same way as you, selling garbage bags door to door, back in the day. Google any celebrity or any very wealthy person. See how they started off. They started off one foot at a time and they kept moving forward. There’s no such thing as an overnight success. It doesn’t happen. You’ve got to get out of your own way. We all have so much potential but you’ve got to let it out there and be willing to fail. Another thing you said was about the failure. We have to be willing to fail. A lot of people don’t want to fail. They are afraid of failing. They may realize the unique gift that they have but they’re afraid of showcasing that gift out of the potential of failure. It’s okay if you fail. As a matter of fact, failure is part of the process. Ego, let’s talk about that. What do you have to say about that? It’s the ego, it’s okay. I do Brazilian Jujitsu and I was a Black Belt in traditional karate. It took me ten years. I was a football player like yourself and still in good shape. A guy about 135 pounds asked me if I wanted to roll with him. That’s another word for sparring. I’m 230, I got this guy by about 100 pounds. It took him about 30 seconds to choke me out. I’m a tough guy. I did it all. I said, “There’s something wrong there. Let’s do it again.” The second time, he choked me in fifteen seconds. I said, “I’ve got to learn this stuff.” Now I put my ego at the door, I started off as a White Belt in Brazilian Jujitsu. I’ve been in about five years or so. I’m a Purple Belt now. If you don’t check your ego every single day, you’re not going anywhere because it’s okay. I have to check the fighter that I used to be because it had some shortcomings. If I’ll be like, “I’m a tough guy. I don’t need that,” the only person I’d be fooling is myself. Sometimes you got to take your ego, be willing to get out there and swallow the humble pie and get back there and relearn things. You got to get on stage, you got to talk to people, you’re going to screw it up. We’re all going to screw up the fifth time or tenth time or anything else. Take your ego and do what you need to do to learn the new skills to achieve the goals that you want. Overcoming Adversity: Do what you fear 100 times and you will fear it no more. What else would you say to folks that have a goal or maybe they’re dealing with some type of adversity or challenge? What are some other things that you would recommend in order to succeed over them? Let’s talk about fear. Fear comes in a lot of different ways. People have a fear of, “I may get hurt. I may get embarrassed.” If there’s one thing I had to ask from reaching their goal, number one answer by far is fear. Fear of failure, fear of embarrassment, fear of getting hurt, fear of coming up short, whatever that fear is. Here’s my solution. Do what you fear 100 times and you will not fear again. Let me get a little bit more on that. Whatever the situation is going to be, whatever event is going to be, if you’re going to do public speaking, if you’re going to go for a job interview, whatever it is, if you’re going to go to a Jujitsu tournament or wherever it is, in the privacy of your own home, set up and replicate as close to that environment as you can. Picture the audience. Picture the adversity that you’re going to be facing. Deal with it mentally and go over it over and over again until you look forward to that day. I’ll give you an example. I was a kickboxer back in my day in New York and there was a little sparring match that we set up with the New York state champion. It was a sparring match that I was going to go to down to in Brooklyn. I was like, “It’s a sparring match. It’s a closed-door thing. That can be a big crowd there. It’s all cool.” I get there, they put me in the ring, all the lights are off, “What’s going on?” All of a sudden, the lights go on. The music starts coming on like it’s a real fight. My opponent coming on in his robe, walking out with his manager, rubbing his shoulders. What do you think he was doing? I was reading this book by Dr. Maxwell Maltz and he was saying the same thing that you’re saying. He used the example of a famous comedian and she had stage fright. This lady is funny. You would think she wouldn’t have any stage fright because she’s so amazing on stage. He knows her backstory and one of the things that she would do to get over her stage fright. She would rehearse a script for her jokes and everything in her underwear in her house. She felt like if she can get that vulnerable and still bring forth her jokes in a great type of environment, she wouldn’t have the fear on stage, she would get over the fear on stage. What you’re saying is absolutely correct. To take this further, I do that now. I’m a speaker and so I’ll go through my talks in my house. I’ll read my script to myself in my house. I practice in my house and by the time that I get on stage and I do a talk, I’ve done that talk several times. It’s not the first time getting up, doing the talk. I’m very comfortable with the talk. That is a major takeaway for those that are reading and want to be a game-changer in your life. There you have it and that’s something right there that can absolutely change your life. Do what you fear 100 times and you will fear no more. You show me somebody who’s successful and I’ll show you somebody who’s not only worked hard but somebody who’s willing to get out of their comfort zone. 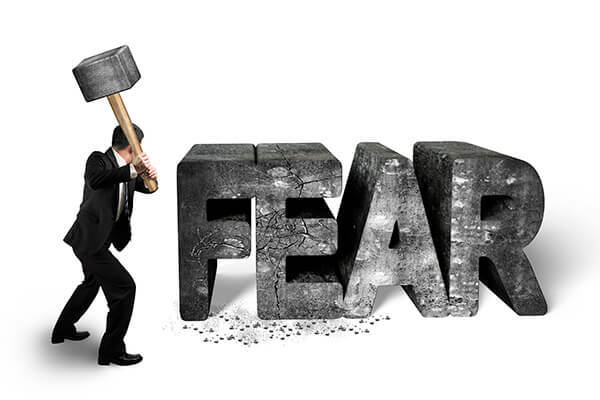 Somebody who’s dealt with their fear, that’s what success is, knowing how to handle these things. We’re with Jerry Gladstone, the author of The Common Thread of Overcoming Adversity and Living Your Dreams. If people wanted to buy the book, if they want to contact you, where could they find you? If they want to buy the book, they can go on Amazon. If they wanted to contact me, they can contact me through TheCommonThreadGroup.com. They can contact me on Facebook as well. This has been great. I appreciate what you’re doing in the world. I appreciate this book. It’s awesome and all the people that you’ve interviewed and I can see what the common thread is. There’s no doubt about that and thank you for sharing that with us. I appreciate you being on the show. Do you have any final words before we come to an end here? There’s only one more person I want to mention who was a true inspiration to me and that’s you, Rodney. You are an inspiration to me the second I met you. I love you and thank you for inspiring me and thank you for inspiring the world. Thank you, Jerry. I absolutely appreciate that. 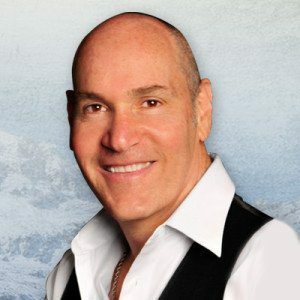 Author Jerry Gladstone is considered to be an expert in helping people overcome adversity, building self-worth and is described by some as “America’s Master Motivator.” Jerry has used his abilities as a business consultant, author, motivational speaker, and success coach (certified by the International Coach Federation) to enhance the lives of others. He is also the founder of The Common Thread Success Academy. Jerry Gladstone was born in Brooklyn, New York, grew up in Massapequa Park, Long Island, and currently resides in Florida with his wife Brooke and 3 children. Like many, Jerry’s beginnings were humble. “My parents were married for over 50 years, they did not have a lot as far as material things, but the one thing they said they knew how to do was love my two sisters and me – and that is exactly what they did,” said Jerry. “They instilled great values, compassion, and a belief system that I still depend on today.” Despite this, as a youngster Jerry had very low self-esteem, was overweight, never did well in school, and like many teenagers, always seemed to be in trouble for one thing or another. If you were to ask Jerry, he would tell you he would most likely been voted “most likely not to succeed.” However, sports taught Jerry that determination, dedication, and loving what you do can take you very far. As a young boy, Jerry played just about every sport, from football, to wrestling, to basketball. Over the years, Jerry earned a black belt from Sensei Anthony Arango form the Martial Arts Institute, nurtured a love of competition, and has very much enjoyed teaching karate, running marathons and triathlons, and played semi-pro football for the Brooklyn Mariners. Jerry continues to pursue martial arts, participating in MMA and still, at the age of 54, rolls around the mat with 20 year olds. Jerry attended the University of Rhode Island on a football scholarship and graduated with a Bachelor of Science degree. Soon after college Jerry started his own business with a $2000 investment. While Jerry grew his company, his strengths in leadership and marketing helped him to build an international business that specialized in the production, distribution and marketing of a wide variety of entertainment fine art. Jerry successfully negotiated a deal which led to the sale of his company to the multi-national powerhouse Getty Images. Years later, Jerry reacquired the company. Like other executives, Jerry faced his fair share of obstacles and adversity during his career. Early on, Jerry was turned down by the Walt Disney Company for more than 3 years for the right to offer their artwork. As written about in the best-selling book by Jeff Keller, Attitude is Everything, Jerry stuck with it and was not only awarded a Disney agreement to offer their artwork, but Jerry and his company became the company’s largest distributor for more than 15 years. Eventually Jerry was asked to serve on the Disney animation art advisory board. During his 25-year career, Jerry has spent a significant amount of time interacting with and interviewing Academy Award and Grammy Winners, Super Bowl and World Series Champions, Rock & Roll Hall of Fame Legends, Best-selling Authors, Olympians, Boxing, UFC World Champions and even Billionaires. He has had signing agreements with Upper Deck’s Tiger Woods and Michael Jordan, and has been honored to meet and work with Muhammad Ali, Joe Frazier, Joe Namath, UFC Champions Chuck Liddell, Randy Couture, George St- Pierre and Anderson Silva, as well as Hollywood icons Seth MacFarlane, Sylvester Stallone and many singer-songwriters, as well as a host of very successful business people. Jerry always felt it was a true privilege to be associated with these celebrities and was able to get to know some of these icons on a very personal level. Jerry wanted to share his experiences with everyone he knew so others cold gain the same insight and wisdom he had learned. Jerry was fortunate to get into detailed conversations on what makes these successful people tick, the reasons behind their reaching such a high level of success, and whether they were “special” or did things differently than the average person. “I was fairly amazed that just like you and I these celebrities – who many hold up on a pedestal – face the same struggles, trials, tribulations and adversities that we do,” said Jerry. He soon realized there was a common way, a common theme and a “Common Thread” that many of these individuals shared. Thus, he was inspired to take these interviews and insights from the people who were so willing to share their experiences with him and write THE COMMON THREAD of Overcoming Adversity and Living Your Dreams, hoping readers become inspired and ready to take on their biggest challenges and reach their fullest potential, whatever that may be.